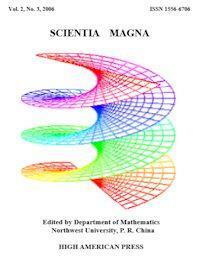 This volume contains basic mathematics (in Hawaiian). 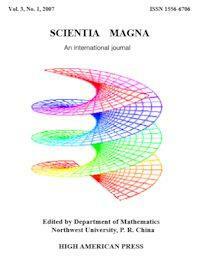 It teaches you the numbers in Hawaiian up to one hundred and also basio useful mathematics. 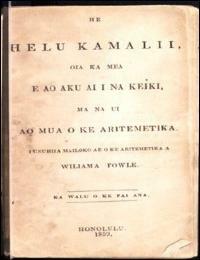 This volume teaches you children's basic arithmetic in Hawaiian. 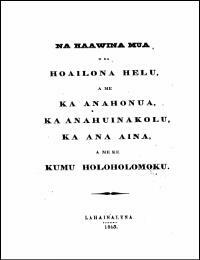 No ka hana ana i keia Helu, e ahu no ke kumu i mau hua poepoe he kanaha a keu paha i mea heluia; pela no kela keiki keia keiki e ahu no lakou i na hua like. 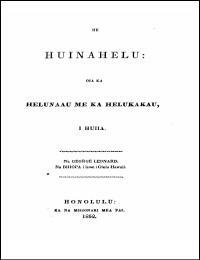 A like me ka hana ana a ke kumu, pela hoi e hana?i kela keiki keia keiki i kana mau hua iho. 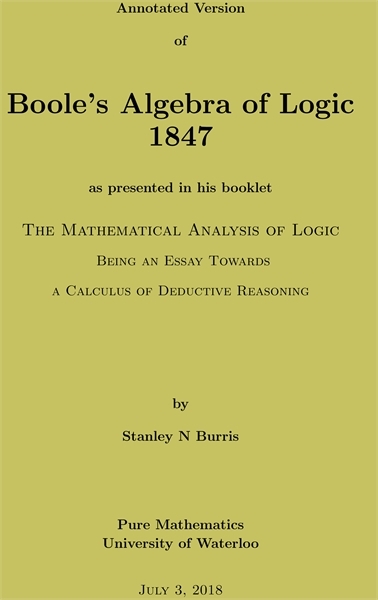 This annotated version of Boole's "Mathematical Analysis of Logic" makes the extent to which Boole based his algebra of logic on the algebra of the integers. Problems are pointed out that will be dealt with in his famous 1854 "Laws of Thought"
The algebra Boole used in MAL to analyze logical reasoning is quite elementary, at least until the general theory starts on p. 60. But there is much that needs to be clarified---on many a page one can ask "Exactly what did Boole mean to say here?" 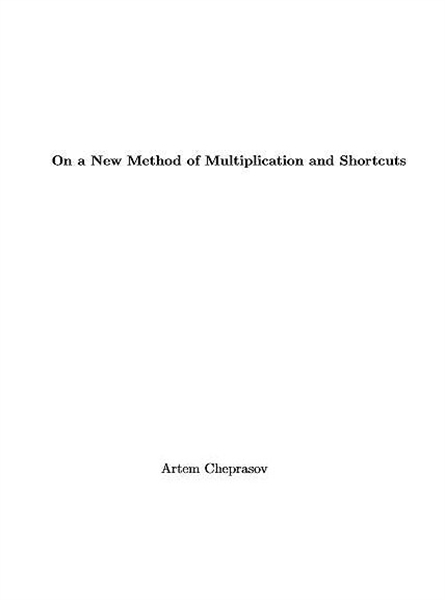 A completely new and unique method of multiplication where you can: 1.) Multiply positive numbers, get negative answers, and still achieve the correct positive result. 2.) 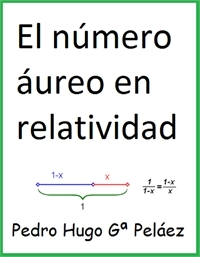 Attach numbers to one another to bypass multiplication and addition steps. 3.) Choose one of many different paths to solve the same problem based on your own individual strengths and preferences. 4.) 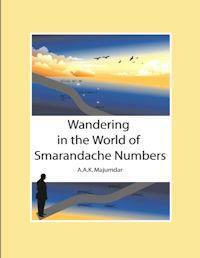 Multiply numbers into the billions with ease! 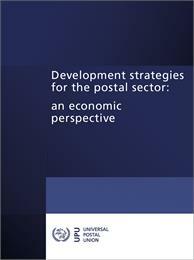 This work is a brief set of notes; it has warrant neither to a claim of comprehensiveness nor of context. 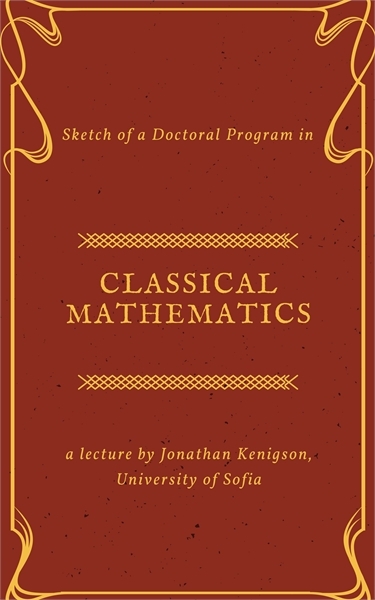 It represents the beginning of an odyssey toward realization of the classical ideal in mathematics education at the doctoral level. 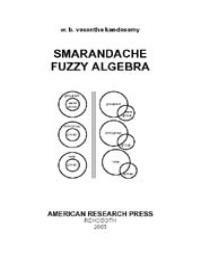 This is a collection of puzzles requiring in most cases – high school math. 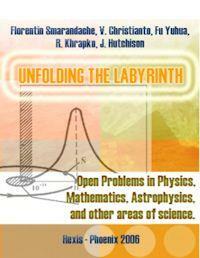 The purpose is not necessarily to solve these problems, but to get you to think about different types of math puzzles. 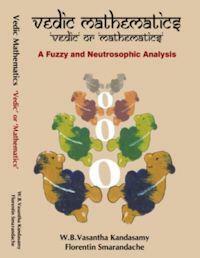 Many of the puzzles are introductions to different areas of math. Most of these puzzles can be done mentally. If you have to write, expect to write no more than a page. Pictures are useful. “There are three planes”, said Onko, “which take off simultaneously - from Bangalore, Athens, and New York.” “Each plane goes 500 km north, then 500 km east, then 500 km south, and then 500 km west.” “Which plane is closest to its starting point?”, said Onko with a smile. Abstract : Let k be any ¯xed positive integer, n be any positive integer, Sk(n) denotes the smallest positive integer m such that m! is divisible by kn: In this paper, we use the elementary methods to study the asymptotic properties of Sk(n), and give an interesting asymptotic formula for it. Keywords : F. Smarandache problem, primitive numbers, asymptotic formula.